Senator Sylvia Garcia in the center, holding her campaign for Congress yard with Congressman Gene Green and supporters. 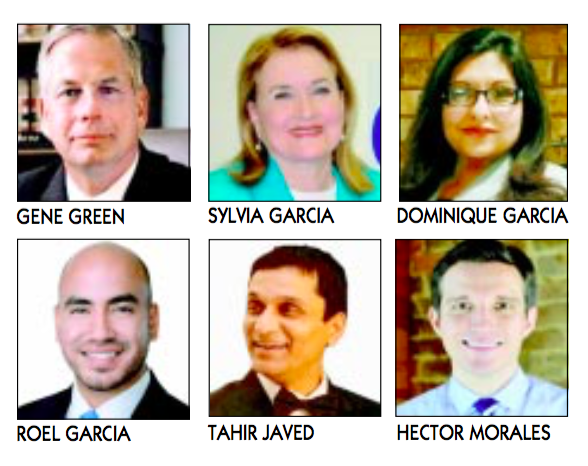 Senator Sylvia Garcia had a Campaign For Congress Open House reception at her first campaign office. Supporters of all ethnicity turned out in large numbers to fill the building to capacity. Congressman Gene Green opened the event by stating why he’s enthusiastically supporting Garcia. He said, “It’s important we elect Sylvia because she the most qualified candidate and because she knows the communities and the leaders of our communities in the district. We don’t need to let someone who’s recently moved in and is wealthy, who’s spending lots of money to buy the position and yet hasn’t ever done anything for our communities and doesn’t know our leaders.” Green stated Sylvia’s has a long record of achievements and experience in service to citizens and experience matters. 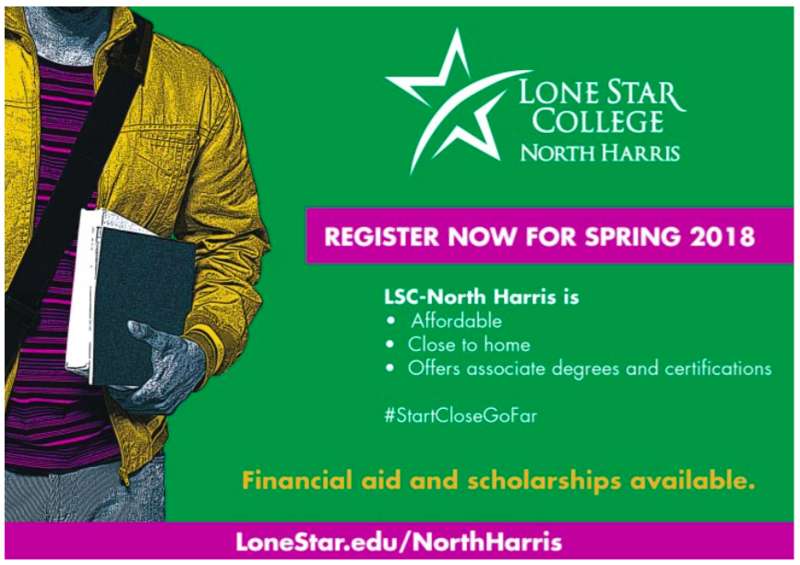 The office is at 7121 Harrisburg Blvd, Houston, will be open daily from 9am-8pm and can be called at 832-869-7529. North Forest High School’s new building while it was under construction. Recently, the transition to the new renovated building took place on Mesa Road. Hundreds of North Forest High School students followed Principal Darryl Henson across Mesa Road on Monday, coming together to formally mark their transition into their new school. 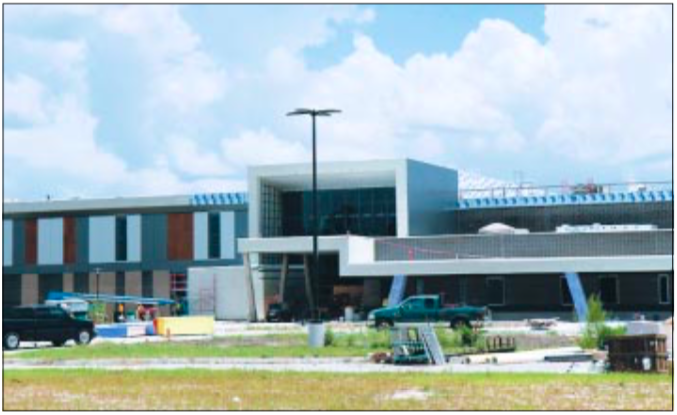 The $59.5 million campus is the first new high school built in the North Forest community in almost 50 years. Funded through money provided by the state, the new school accommodates 1,300 to 1,500 students. It features flexible learning areas, a modern dining commons, and career training spaces, as well as large windows that provide ample natural lighting and open views to the prairie in front of the building and the forest in back. Aldine Community distributed toys and bikes to 300 needy families. A store located at Crosstimbers shut down for selling Kush. New Travel Plaza on Beltway 8 boosts economy in the area. Merlin Griggs, Aldine ISD board member dies. 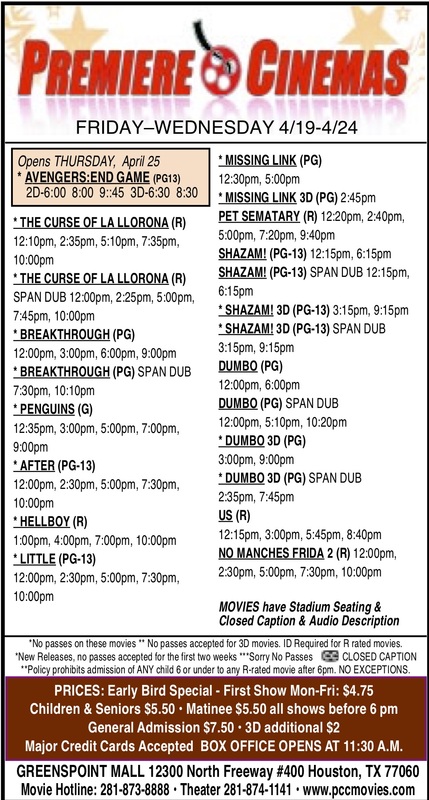 Macy’s announced closing of store at Greenspoint Mall. Democrats fought to save Obamacare. Aldine FFA took place, grand champion sold for $14,000. North Houston District recognized Community Champions. Noble Energy donates $750,000 to Aldine Education Foundation. Congressman Gene Green proposed an Amendment to abolish Electoral College vote. Harris County combated animal overpopulation, spaying and neutering dogs and cats. District Attorney announced there will be no prosecution of low amounts of marijuana. Scarborough Elementary school, one of the 4 four Houston ISD most damaged schools by Harvey to be rebuilt. 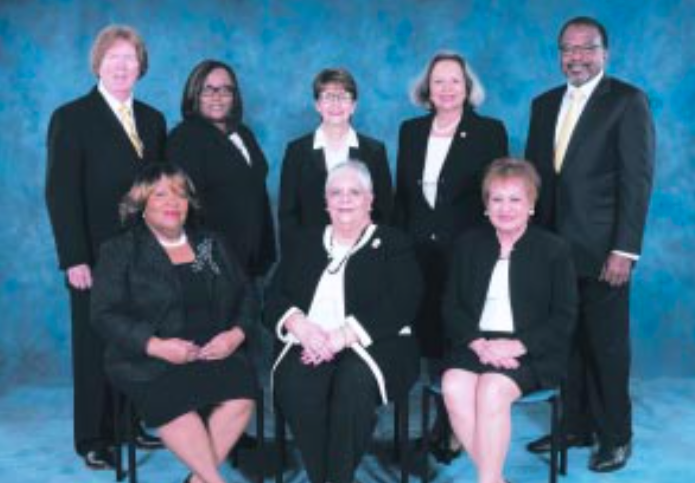 Dec. 14, 2017 – The Houston Independent School District Board of Education during its December meeting on Thursday approved a plan to rebuild four elementary schools that sustained the most severe flood damage as a result of Hurricane Harvey. 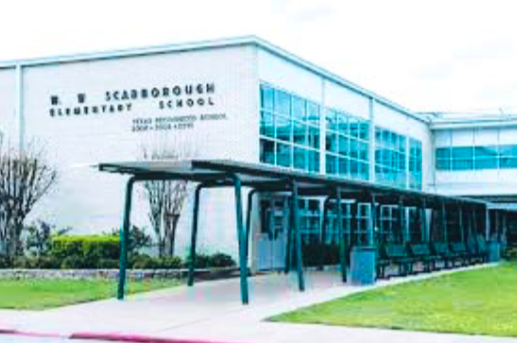 Facilities assessments of the four elementary schools — Braeburn, Scarborough, Kolter, and Mitchell — found significant property damage, as well as a strong need to raise the elevation of the buildings to prevent potential future flood damage. The cost to replace the four schools is estimated at $126 million, which will be funded by a combination of Operations reserves and Tax Increment Reinvestment Zone (TIRZ) funds. The proposal trustees approved calls for the four schools to be demolished and rebuilt at their current sites. The plan requires the students and staff to remain in their current temporary locations until new facilities can be reconstructed at their original location. Those new facilities could be completed and open to students in 2020. Aldine ISD had two outstanding defensive players prowling the field during the 2017 football season. 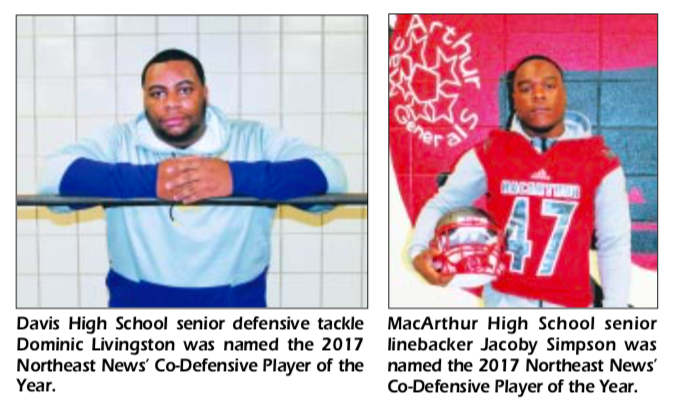 MacArthur High School senior linebacker Jacoby Simpson and Davis High School senior defensive tackle Dominic Livingston dominated at their respective positions during the season and because of their outstanding senior seasons, the two were named the Northeast News’s Co-Defensive Players of the Year. In eight games, Simpson recorded 116 solo tackles (an average of 14.5 per game), recorded four sacks, had 28 tackles for loss and intercepted two passes. The 6′-0″, 215-pounder has committed to Arizona State.